We camped this weekend, so Friday and Sunday were not walking days (travel days). I did get 4+miles in on Saturday. 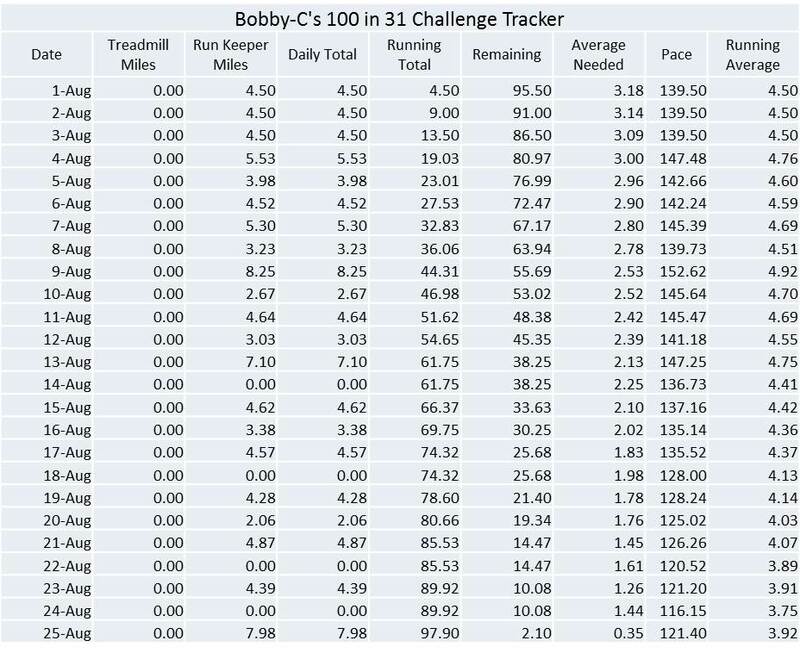 I am now at 97.90 miles. Barring the unforeseen, I will go over 100 tomorrow! Such a great idea, Bobby. Fantastic work! I think it’s phenomenal to see progress in such a factual format.